Why settle for a paper gown? Paper examination gowns generate almost four times as much solid waste as cloth exam gowns and cost more than twice as much per use. As your patients become more familiar with the environmental issues of our time, they will come to expect their healthcare providers to be responsible citizens of the world. 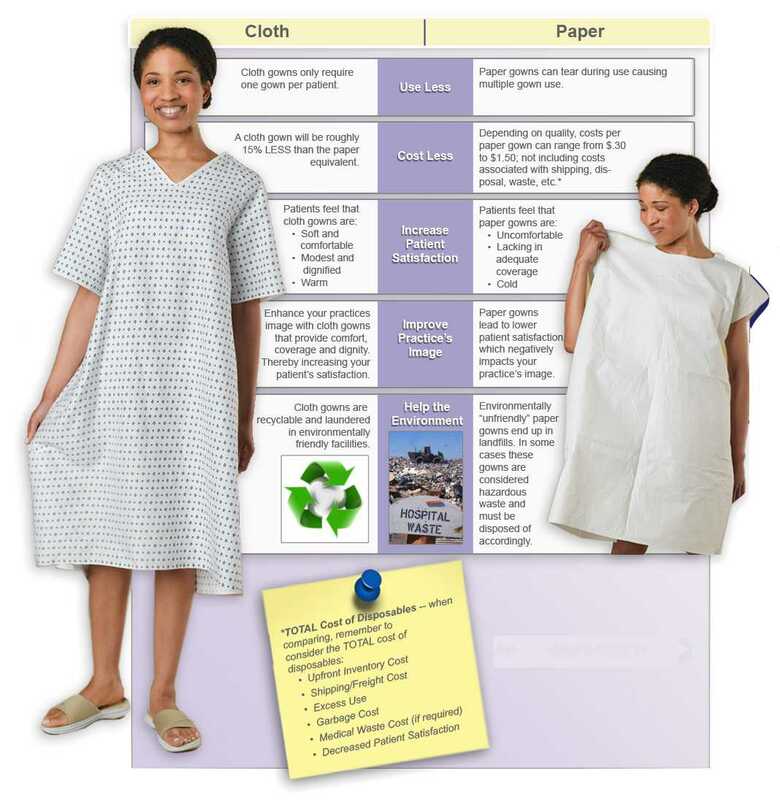 Be sure to take a look at the total cost of paper and the benefits of cloth gowns when making your decision Start with a FREE quote!